Join us Thursday, March 21 to celebrate the Spring Equinox (okay a day late) with a one-half price special on our “sweet cocktails” and our “sour cocktails” plus one flight. 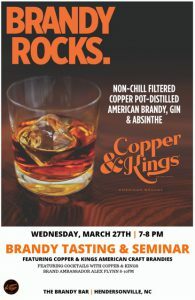 Also a reminder of our first brandy seminar with Copper & Kings Distillery! 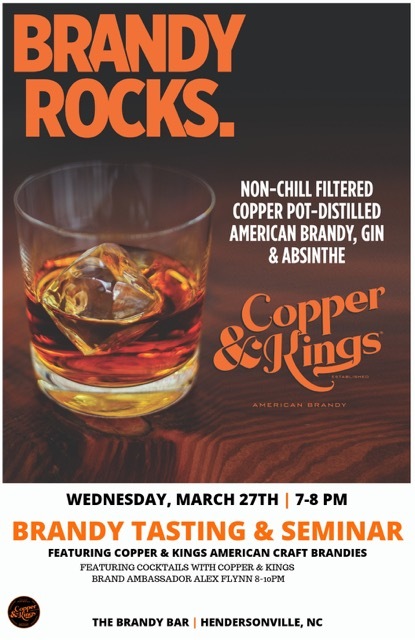 By submitting your email address, you agree to receive up to 5 emails monthly from The Brandy Bar.